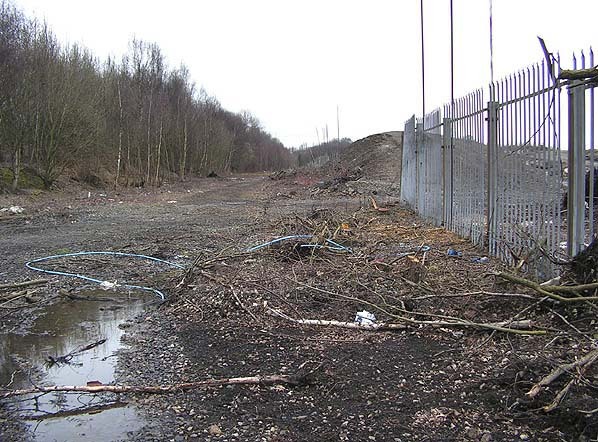 Looking east at the site of Stockport Portwood station in April 2010. The single platform terminus that was Stockport Portwood closed in September 1875 after the line had been extended westwards. Extensive goods facilities developed at the site on the area of ground to the right of the picture behind the metal fence. The goods facilities lasted until April 1966.